Japanese astronomers spotted evidence of tiny Kuiper Belt object at the outer edge of the Solar System using a pair of telescopes you could buy online, according to a new paper. 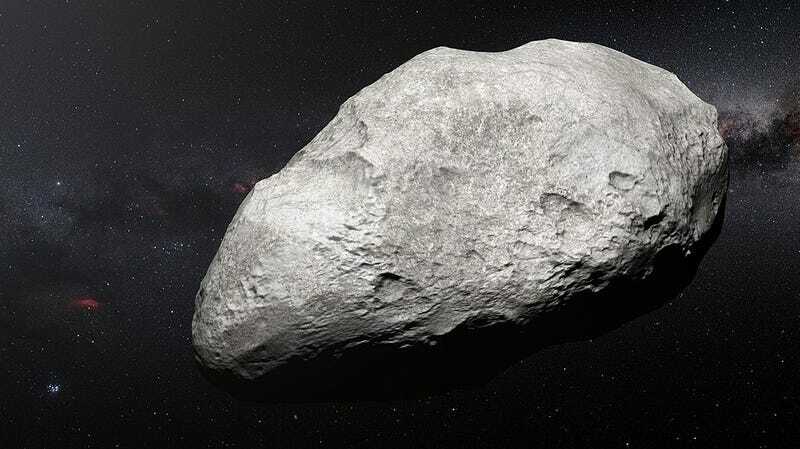 Kuiper Belt objects (KBOs) are coalesced remnants from the Solar System’s earliest days, and include smaller rocks like the recently visited MU69 and dwarf planets like Pluto and Eris. But the smaller objects, specifically those with radii between 1 and 10 kilometers (0.6 to 6 miles) can be seemingly impossible to detect. Now, a team of Japanese scientists think that they’ve spotted such an object using consumer telescopes. KBOs are incredibly dim, as you might expect given their distance and relatively small size, and so can be undetectable with even the largest telescopes on Earth. Scientists therefore need to get creative about how to spot them. Similar to the way others have spotted exoplanets, these astronomers searched for the signature of a KBO passing in front of a distant star, creating a blip in the light that reaches us. The researchers looked for these “occultation” events using a pair of $6,000 Celestron telescopes, each equipped with an astronomy camera and an attachment to increase the camera’s maximum aperture size and increase the field of view. The combined system cost the astronomers $16,000 total and could observe 2,000 stars simultaneously. Observations took place between June 25, 2016 and August 1, 2017, on a rooftop of a school on Miyako Island, southwest of Okinawa. The data from both telescopes revealed a simultaneous dip in the light from just one of the stars in the region observed by the telescope—evidence that some object had passed in front of that star. If a KBO caused the dip, it would be somewhere around 1.3 kilometers in radius in order to have produced the dip in the light that the instruments detected, according to the paper published in Nature Astronomy. Preliminary is a key word here. Sure, the placement of the telescopes, and the fact that both telescopes measured the light dip, rules out things like birds or planes. But it’s not a smoking-gun result— it’s first evidence that they could have spotted a kilometer-sized KBO. They ruled out other possibilities mainly by probability, reasoning that the dimming was far less likely to be caused by the asteroid belt or other Solar System objects, based previous surveys of the sky. The researchers are now planning more occultation searches. And hey, if you’ve got a few thousand bucks, maybe you can help.